Imagine if you could pick a person off the street and put yourself in their shoes for a day. Now imagine you could do that for a user of your product, watching where they click and seeing where they get confused or where they struggle. That’s precisely what FullStory helps their customers do, and Jaclyn Spangler, FullStory’s “Hugger in Product”, has been instrumental in crafting their product vision and company ethos. 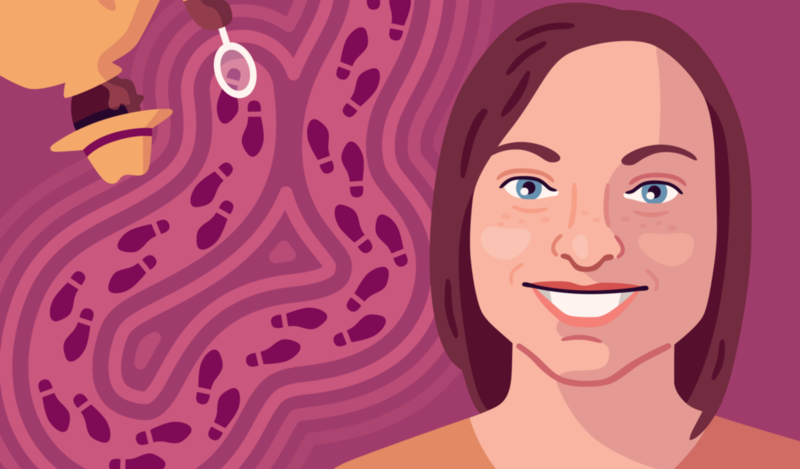 Jaclyn was gracious enough to talk to us about how she found her way to technical product management, as well as how she helps the company create a strong culture and maintain a management structure that prevents bottlenecks. Jaclyn emerged from university with a degree in international trade and Chinese language major. Her first port of call after college was Ha’erbin, China, where she taught English as a second language to students ranging in age from three years-old to fifty. After that brief stint, she moved back to the U.S., landing in Atlanta, where she found work as an account manager at a shipping & logistics company. On her quest for a new job, she started exploring the Atlanta tech startup scene, and quickly fell in love with it. “There’s so much great energy here, and being outside of the Valley makes it feel like companies are especially scrappy and hungry.” She was introduced to Scott and Bruce, the cofounders of FullStory, through her network. They were interested in finding a customer-facing person to join their engineering team, as they already had a strong product, but hadn’t yet spent a lot of time talking to customers. One such process is called a “Prove It,” which is how the team makes decisions. FullStory uses a matrix-based management structure, where the idea is not to have traditional t people managers (who often become bottlenecks), but instead leaders are resources to other employees. That matrix means that nobody is a bottleneck, and employees don’t have to wait on one person to give them a go-ahead. Instead, what happens is that they create a “Prove It” document when they feel strongly about something. It’s a way to make sure that ideas are being acted on, instead of staying an idea. Management and department structures at FullStory are somewhat unorthodox. Instead of departments, they have “job families”, each with its own “head of family”. The head of family looks at macro level strategy, the five year plan; it’s also their job to make sure that everyone is focused on moving towards those five year goals. Jaclyn is the Head of Family for Hugging, which is the department that covers sales, product development, and customer interactions. She’s referred to as the “Hugger in Product” and is a liaison between the Hugging and Product families, spending most of her team with the product team and syncing up with Huggers on the side to make sure that she knows what’s going on in their family and can bring that information to the Product family. The title (and department) revolving around hugging was initially a joke, but came from the FullStory team really wanting users who reached out for support to feel like they were talking to real people. As Hugger in Product, it’s Jaclyn’s role to take the information from the customer success team, figure out what to prioritize, look at which things are gaps in functionality or actual holes in the product vs. misunderstandings of the product, and relay all of that to the product team, so they can start to fix it. Of course, given that this is an unusual management style, sometimes there needs to be a little bit of translation. They’re open about the management style and titles during the interview process, and they also give new hires the option of deciding what the equivalent title would be at another company, so they can use that on their resume/LinkedIn when they leave FullStory. Overall, having a more democratic team structure has helped the team iterate faster and improve their product. It’s good incentive for other companies to revisit their team structures — after all, when you start a new company, there’s no need to do things the way they’ve always been done just for the sake of it.